TREASURE HUNTER: Ever wanted to hunt for buried treasure? 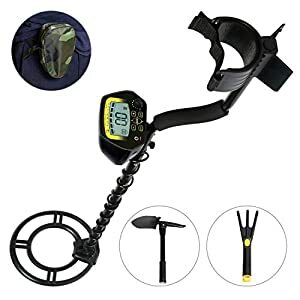 This foldable metal detector is designed to do just that – search for gold and silver jewellery, coins and other metallic objects hidden in the ground. GOLD DIGGER: The DISC operation mode enables you to discriminate unwanted metal items and also distinguishes between ferromagnetic and non-ferromagnetic metals. 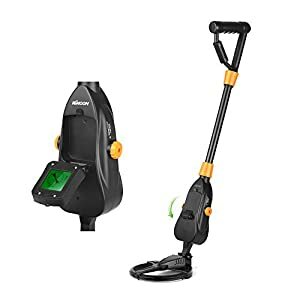 HEADPHONE PORT & ADJUSTABLE VOLUME: An audio jack in the display allows you to connect the metal detector to headphones so that you are not disturbed when seeking treasures in noisy environments. 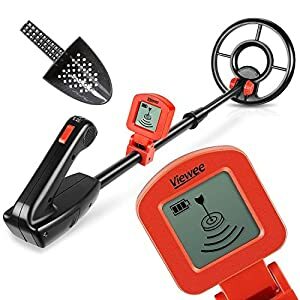 Go on a treasure hunt with the Navaris Metal Detector! Silver, gold, jewellery or lost relics…with the extendable pole and waterproof coil, it is suitable for all ages searching for hidden treasures! movements and hold the search coil about 5 cm above the ground. Homes have an array of metal items inside (such as pipes, cables, radiators, etc.) that can influence strange results when using the metal detector. 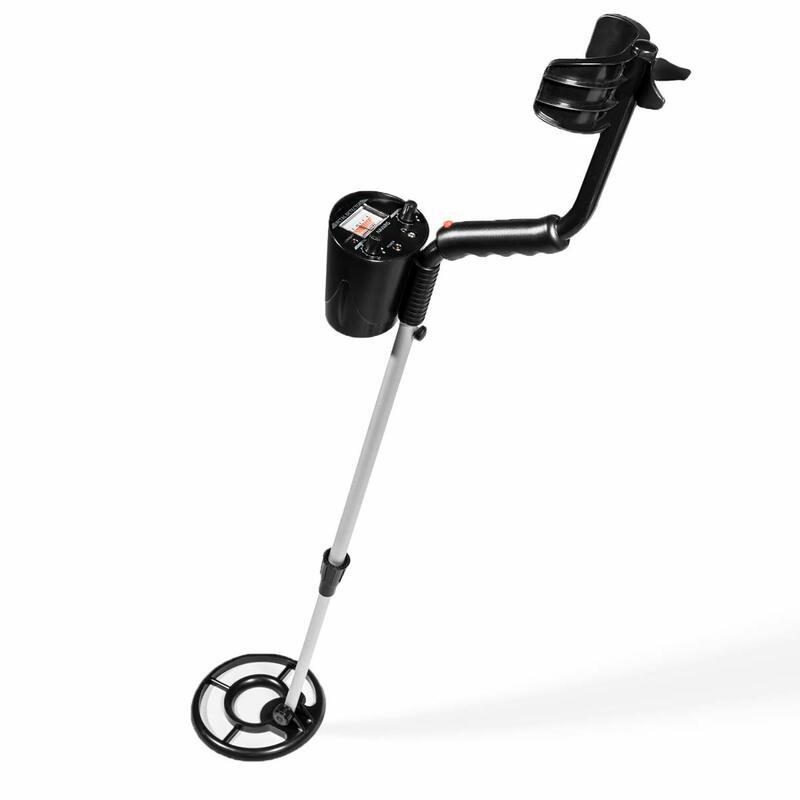 WATERPROOF SEARCH COIL: You can also search for lost metal items in shallow water. 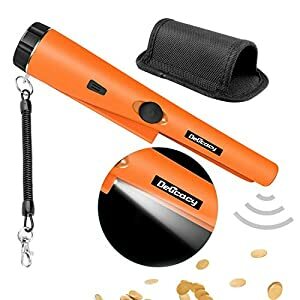 Especially good for hobbyists looking for metal on the beach! Make sure that the display is carefully away from water to avoid any damage. ADJUSTABLE POLE: The stem can be adjusted to fit the height of kids or adults for comfortable use. 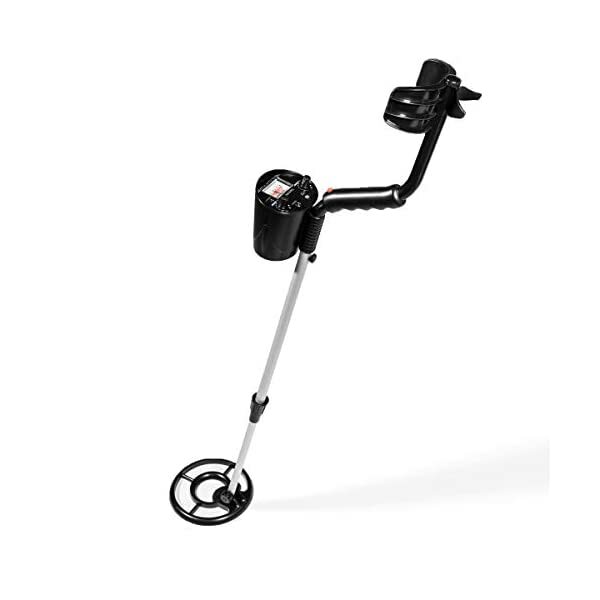 The metal detector includes a back rest for the arm to provide non-slip grip.